The food was both a blessing and a curse. As you continue reading this post you'll find this will be the case with quite a few things. I can't lie the food, on the whole, was great. There is so much variety, not just the chicken tikka you get at home. This is real Indian food, none of the English names. The naan is freshly cooked and delicious, the curry's are amazing. And it's all very cheap! However, I got bored of eating curry twice a day, or any sort of Indian food. I like variety and being a tourist I craved some western food. Just for one meal. In some areas it's harder to find Western food than others. Places like Goa, that cater for tourists have lots of western options. However, I found a lot of the western food a bit of a disappointment. Other than a pizza I had in Kochi Fort which was amazing! The dreaded Delhi belly. I think everyone visiting India will experience this at least once on their trip. I have to say I was fine for most of it, however, I did get a very nasty does of Delhi belly on our house boat. On the plus I was constantly sat on a boat relaxing with a private toilet very near by so I guess it wasn't the worst place. Anyway enough details, I'm guessing non one wants to talk about Delhi belly but it's something that happens and it can affect your trip. Of course an upset stomach doesn't only happen in India, in most Asian countries you'll probably have to deal with it at least once. I guess it's just getting used to the different food. Most of the time the people in India were definitely a high but there were some occasions they were a low. Like most places you'll visit there are always a few people who are either a little too friendly (and by friendly I mean creepy) or want to scam you. Most locals we met along the way were lovely, tuk tuk drivers were reasonable and helpful, hostel workers would help us book our transport, children would chat to us and practise their English. It is a very welcoming country. We had one guy order us a taxi because it was late and it was safer than getting into one of the ones hanging around the train station, he made sure we got in the correct taxi and made us promise we'd call him once we were at our hostel. It's the little things like this that make you feel more at home and safer in a country. I have to admit I really was not looking forward to the journeys in India. We travelled mostly by train including one overnight one. This one lasted 16 hours and I was really dreading it but it turned out to be really fun. Unlike most night buses I've been on I was able to sleep most of the night. It wasn't the best nights sleep I've had but it was definitely sleep. It's easy to stretch your legs, there's a toilet, people coming around with food and of course you can look out one of the open doors and enjoy the views! Obviously when you go to India you want to see the sights. And of course, probably the most well known is the Taj Mahal. We knew that a visit to the Taj Mahal was a must for our trip. Luckily, we only experienced one proper scam whilst in India. It was on our first day after we'd just travelled for over 24 hours. I'd actually read about this scam and our hostel had written about it on the sheet we'd been told to print for our reservation. The thing is we didn't end up being scammed because we realised it was a scam quite early on but once the scam starts your trapped! It was like some repetitive nightmare you can't wake up from. We were told that our hostel was fully booked and we could not reach it due to road closures for a festival. We phoned up our hostel using the travel agents phone (not an actual travel agents) they then direct you to someone who pretends to work at your hostel who again tells you that you can't get there. Long story short they want to take you to a hotel where they get commission. They eventually put us in a tuk tuk, this driver pretended to sympathise with us but was still in on the scam. All we wanted was to be dropped off so we could get in a tuk tuk that wasn't part of the scam! We managed to do this eventually and got the metro to our hostel. While we didn't lose any money we lost time and after such a long travel day the previous day this was not what I wanted to waste an hour of my life doing. Safe to say we went for a nap as soon as we checked in! 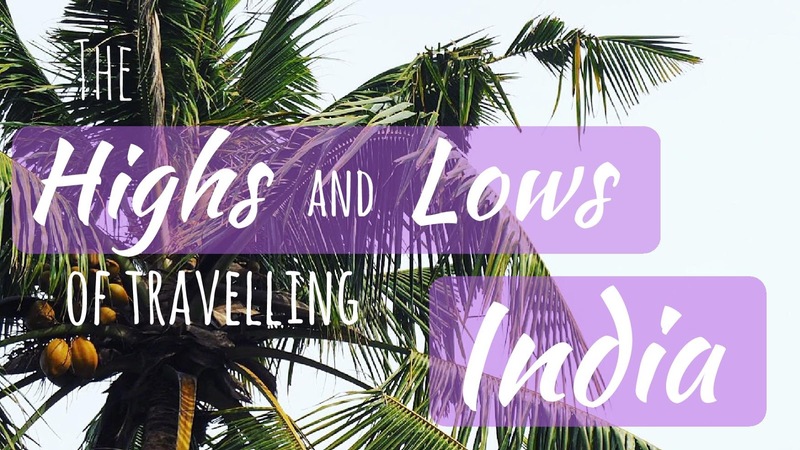 Have you visited India, what were your highs and lows?